Frieda Loves Bread: 4 Reasons to Have a Kitchen Scale & A Winner! 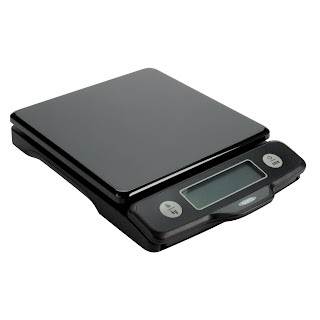 6 4 Reasons to Have a Kitchen Scale & A Winner! My first kitchen scale from IKEA. Close, but not spot on accurate. Difficult to read the numbers. This is my second kitchen scale. Digital, spot on accurate, used many, many times. Why use a kitchen scale? More and more recipes are using weights and for a good reason. One cup of all purpose flour and one cup of wheat flour do not weigh the same. Measuring in grams is even more accurate. 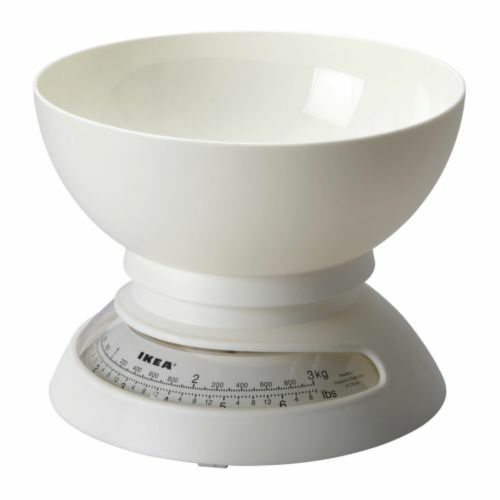 If you have an international recipe that uses grams, using a kitchen scale is super easy for converting recipes. Need to double or triple a recipe? Its easier to measure two pounds of flour on a scale than measuring out seven cups ... I lose count very easily and that is a recipe for disaster! Do you buy in bulk? Do you want your dinner rolls all the same size? Are you on a diet? Portion sizing is very easy with a kitchen scale. Divide your bulk hamburger into true "quarter pounders." I weigh out all my bread dough, from dividing it into thirds for loaves, 2 oz. balls for dinner rolls, 3.5 oz for hamburger buns and 1.5 oz balls for tortillas. Foods cook evenly and perfectly when they are all the same size. I needed to portion out 30 bags of trail mix for a group. Purchase a couple of bags from Costco or Sam's Club and some snack baggies, use your scale and you've saved $$ over purchasing individual bags! When a package indicates a "serving size," you will know exactly how much is a serving. No more eyeballing it. Did you know that a serving of boneless chicken is 3 oz? It is smaller than you think it is. I saw a worker at a hamburger place using a digital scale. She put the shake container on the scale, pushed a button to reset the scale, poured a couple of ounces of syrup, reset the scale, put in some ice cream, reset the scale again and poured in some milk. So easy! A perfect shake, every time. One reader mentioned that she would use a kitchen scale for the Pinewood Derby. That would ensure fair and square accuracy! 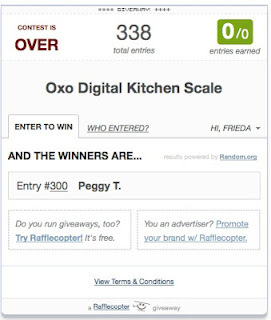 So, who is the lucky winner of this beautiful OXO scale? Peggy T. ! Congratulations! 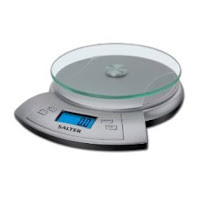 Look for an email from me and this beautiful scale will be on its way! Dang, I didn't know about your giveaway! How did I miss that post?! I really need a scale. We have one that's like your first one, a bit inaccurate. They are so handy to have aren't they? I'll need to get myself a digital one at some point! I (too) can't live without my kitchen scale! I didn't think I'd use it as much as I do. Great post! Thanks Frieda! Well, hot diggity. I'm so excited. I love your blog and the helpful tips. Can't wait to get started weighing my flour to bake - kick it up a notch.